An opportunity to give someone special a unique gift from Marshland Arts. Please note, original watercolours may only be acquired from an exhibition, or collected/delivered within Norfolk by arrangement. £50.00 buys a mounted print selected from the online print gallery or in person at an exhibition. 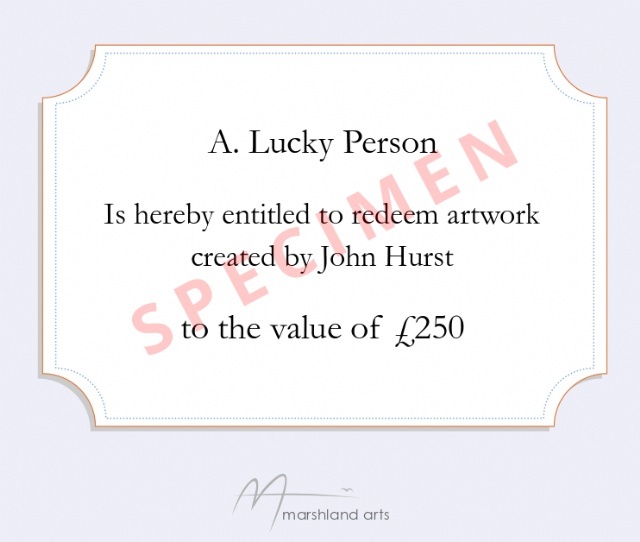 You can ‘mix and match’ vouchers at an exhibition, for example, a £300.00 voucher may buy an original and a print. Vouchers may be ‘topped up’, i.e. cash added to enable the bearer to extend their buying potential but may not be redeemed for cash. Vouchers may only be requested online and will be made available after payment by BACS, Paypal or Cheque has taken place.